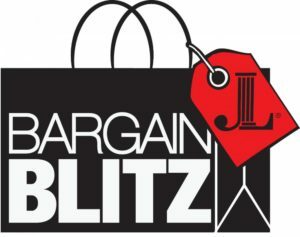 The Junior League of Bryan-College Station, Inc. (JLBCS) will hold Bargain Blitz on Friday, March 1, and Saturday, March 2, 2019 at The Expo. Bargain Blitz is a rummage sale known throughout the community for being a shopping bonanza. At the event, shoppers can purchase a wide variety of new and gently used merchandise donated by local businesses, friends in the community, and JLBCS members. The Bargain Blitz Preview Party, where shoppers can get a first glimpse, will be Friday, March 1, from 6:00 p.m. to 8:30 p.m. at The Expo. Admission to the Preview Party is $6 for adults and $3 for children 12 and under. Admission will include a pizza dinner and entertainment. During the Preview Party, prices listed on merchandise are doubled. The annual Bargain Blitz Fundraiser will be at The Expo on Saturday, March 2 from 8:30 a.m. to 3:00 p.m. All day admission for adults is $1 and children 12 and under are free–pricing will be as-marked. Those interested in supporting Bargain Blitz by making a donation, or for more information, contact the Junior League office at 979.774.4759, e-mail bargainblitz@jlbcs.org.